Delegates representing 65 votes meet in Paris on September 23, 2017. After the end of the third day of the competition, the playoff games are fixed - at least in the men´s competition. Madrid - At the IFAF Europe Flag Football European Championship in Spain, the picture did not change at the top on the second day. Both men and women from Austria are the leaders of the tournament. Madrid - The teams from Austria have confirmed their favorite role on the first day of the IFAF European Flag Football Championship. 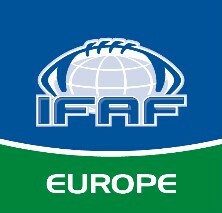 13 teams are fighting for the crown of Europe Madrid - On Thursday, 7th of September, the IFAF Europe Flag Football European Championships starts in the Spanish capital.